We have a wide range of low energy saving candle shaped light bulbs including CFL (Compact Fluorescent Lamps), LED and Halogen types. 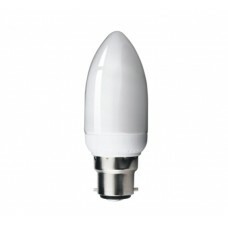 The CFL low energy candle light bulbs use 80% less electricity than standard incandescent versions, whilst the halogen candles use 30% less energy than standard incandescent lamps, light up instantly and are fully dimmable. Please select the Cap size you require below from Bayonet / BC / B22, Edison Screw / ES / E27, Small Bayonet / SBC / B15 and Edison Screw / ES / E14. 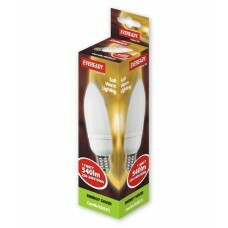 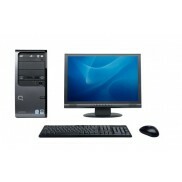 Get a cheap deal today on our wide range of CFL energy saving candle light bulbs. This is a 11W (60 watt) E27 / Edison Screw / ES compact energy saving candle shaped light bulb made ..
11W (60W Equiv) CFL Edison Screw Candle Light Bulb This is a 11w (60 watt) Soft Lite Mega silico.. 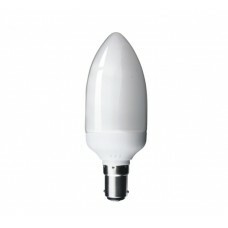 This is a 7W (35-40W) Edison Screw / E27 / ES compact energy saving CFL candle shaped light bulb mad.. 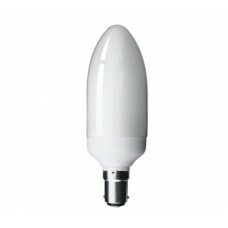 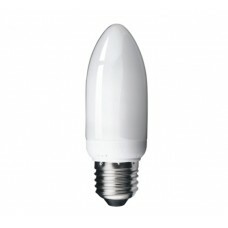 This is a 7W (35-40 watt) Small Edison Screw / E14 / SES compact low energy saving candle shaped lig..